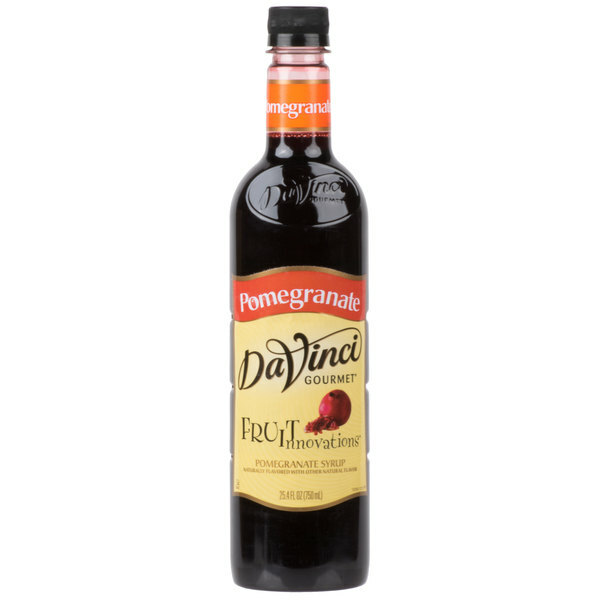 This DaVinci Gourmet pomegranate fruit innovations syrup is specially formulated for use with cold beverages. It's perfect for iced teas, lemonades, Italian sodas, energy drinks, and flavored water. Mix it with your favorite spirit or champagne and create tempting mixed drinks that your customers will love! Best of all, you'll be able to mix up flavored cold drinks quickly and easily with just a splash of this fruit innovations syrup! Committed to excellence in flavor, DaVinci Gourmet creates a cool and crisp fresh fruit taste to complement your beverages without overpowering them or being too sweet. 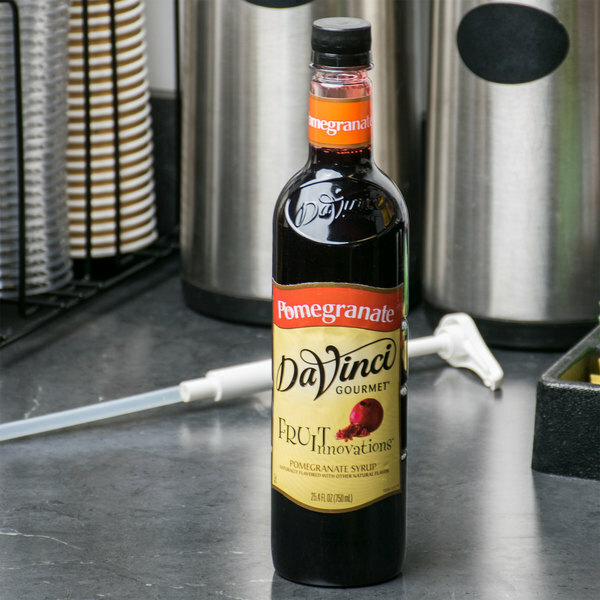 If you want a trendy, fruity taste, this pomegranate flavoring syrup is the perfect choice. Add this syrup to any drink, and indulge in the unique, luscious flavor of pomegranate. 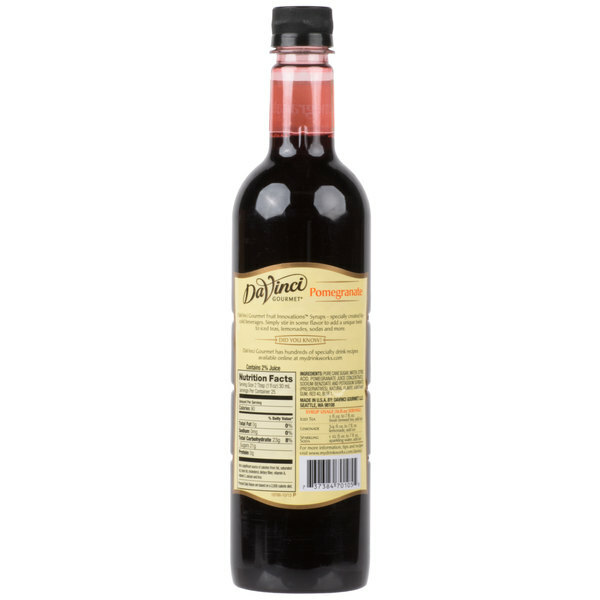 DaVinci Gourmet fruit innovations syrup is great for classic drinks like sparkling sodas and new concoctions for your menu like flavored margaritas. Made of pure cane sugar, ultra-filtered water, and natural fruit flavors, this syrup is sure to be a hit in your bar, coffee shop, or cafe! I have been replacing our other brand with DaVinci Fruit Innovations flavors because they are just that good. The Pomegranate flavor is much natural tasting.